Yep. I feel like I've been a pro at dressing for every season this past week. The midwest is definitely not known for the most smooth seasonal transitions, if ya know what I mean! The other day I left the house wearing a dress and sandals. Yesterday I wore my winter coat and combat boots. And today, it's raining and 55. 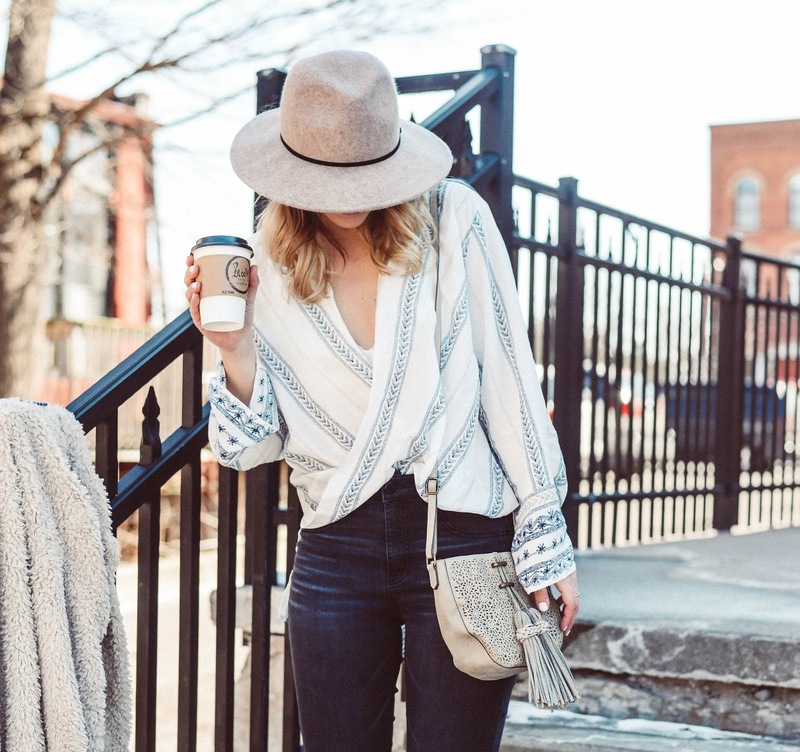 Throughout the years living in Michigan, I've gotten pretty good at keeping a few transitional pieces in my closet for each season. For the crummy winter to spring months, because let's face it, Michigan basically.. maybe.. has one REAL week of "spring". It's either 35 and snowing or 75 and humid. However, for these interesting weather days, I always have a pair of cropped jeans, heeled sandal or mule, and layer-able top. And of course I can't forget, a HAT!